Mademoiselle Roy Travels The World: Let's get started...China here I come! Let's get started...China here I come! 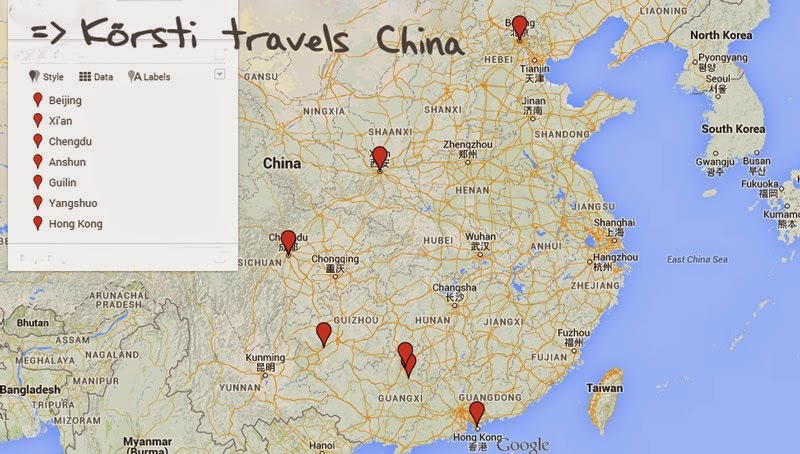 Ok the plan was to write a bit about the route for China before I’m actually setting of. However, the last few days before my departure were packed with lots of little things, which ended up taking forever. Getting hold of silica pouches for instance. I read in some blog, that they’re highly recommended to avoid having a DSLR damaged by damp. After I had no luck in DIY stores and shoe shops I managed to get hold of some in a shop that sells cheap bags. Who would have thought it? But what am I talking?! You’re probably more interested in the route. As already mentioned in the previous post I started my around the world trip in China. I got a 30 days tourist visa, which isn't that much for such a big country like China, so I’ll be focusing on the ‘main’ spots and will take advantage of the 72hrs rule for major cities like Shanghai later on. The first stop in China took me to Beijing, where I arrived 2 days ago. I’m staying with a good old friend from London. She was sent to Beijing for work a couple of years ago. We stayed in touch, however, never managed to see each other in person again. You know how it is; it’s always easy to say you going to visit a friend, who has moved far away, but to actually go, that’s a different kettle of fish. So I’m glad I finally managed to visit her. I will leave Beijing in roughly a week time for Xi’an. This town is famous for it’s Terracotta Army. I already sorted accommodation through couchsurfing and will be staying with a guy called Patrick, who’s an English teacher in Xi’an. The next destination on my itinerary will be Chengdu, where I’m planning to visit the Panda Research Base, which is home to more than 30% of the world’s Giant Pandas. I'm also planning on visiting the Great Buddha of Leshan. 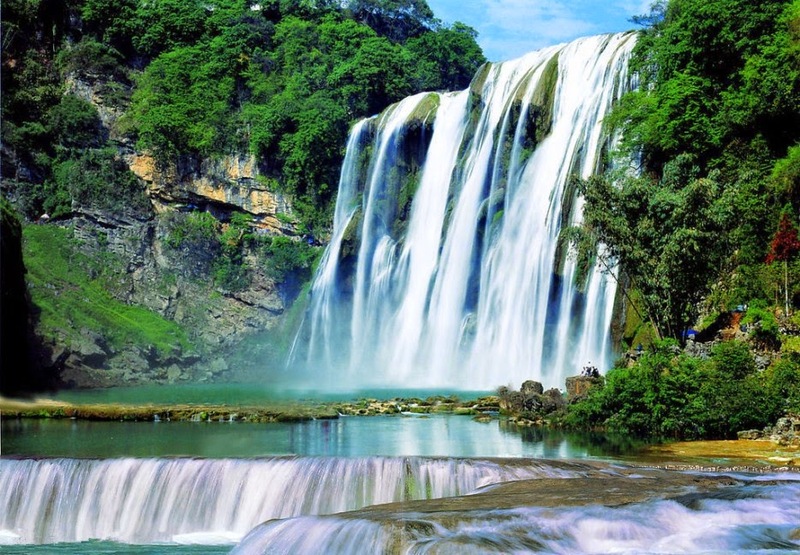 I will then continue south-eastwards to the Huangguoshu waterfalls, which are basically the biggest in China. My journey will then take me to Guilin to go aboard a cruise on River Lii to Yangshuo. This place is famous with backpackers since the 80s, so I’ll probably stay there for a few more days before leaving mainland China for Hong Kong. As already mentioned above I got a 30 days VISA for China, however, my schedule so far is only for 25 days. This is basically to make sure I won’t be in any rush and have enough time to adjust plans and see places, that other travellers/locals might recommend to me.